Neil Smit, executive vice president of Comcast, joined Anne Sweeney, president, Disney/ABC Television Group, on stage at the Fortune Brainstorm Tech conference for a discussion about the future of television, moderated by Fortune’s Stephanie Mehta. Below is an unedited transcript of the discussion. announced a multi-billion-dollar, ten-year distribution deal that covers all of Disney’s television content, including streaming on a variety of devices. It’s considered a groundbreaking deal and one that could be a blueprint for the future of what people in the media are calling TV everywhere. We are lucky enough today to have the two principals who worked on that deal, Anne Sweeney, who is co-chair of Disney Media Networks and president of Disney ABC Television Group, and Neil Smit, who is the president of Comcast Cable. Welcome Anne and Neil. So this big deal, who’s brilliant idea was it? NEIL SMIT: I don’t know. I think it was a mutual deal. ANNE SWEENEY: Yeah. It was truly ours. I mean, it was mutual and exciting. NEIL SMIT: Yeah. I think we approached it as a partnership from the beginning. It was much less contentious than some of our other deals can be, and I think that’s because we both approached it with the consumer in mind and an element of trust and understanding between us. STEPHANIE MEHTA: So set the context for us. As I understand it, much of your content that is distributed via Comcast was — basically there was an expiration of a contract. So is that what basically was the catalyst for coming together and trying to hammer our something larger? ANNE SWEENEY: Well, you know, that’s always the catalyst for coming together. Your deal is up, you sit down, you exchange paper. But this time, as Neil said, it was a little bit different because (thunder rumbles) — the skies are going to open up, it must be a sign. It was different because the first conversation was not, you, how long will the new deal be or what will the rates be, the new conversation was really about the future and what was going on with your customers, our consumers, our viewers, how were they consuming media, what were they watching, when were they watching, on what, what did we know? And I give a lot of credit to Comcast and to Disney for taking the opportunity to do something different and to address the future instead of readdressing the past. STEPHANIE MEHTA: So what were you seeing and what are you seeing among your circumstances? I mean, we’ve been hearing about consumers asking for — they want to watch it when they want to watch it on the device they want to watch it for five years. But what are the hard facts? What are the things that you were seeing in terms of consumer behavior, consumer patterns, alternative ways that consumers were accessing content that made you realize that this is urgent, we really need to get this done? NEIL SMIT: I think it’s just what you were saying, Stephanie, is that people want to consume content where and when they want to. And they want it across any platform that they happen to be on, whether it’s big screen, the PC, laptop, smart phone, tablet and they want to have it there and available and they may want to have certain tools. They might want to remotely program their DVR from online, or they may just want to consume the content. But I know in our case, we’ve seen a lot of growth in video views. So we have an Xfinity TV had about five million uniques, our Apple app has about 5.5 million downloads. So we see a lot of usage and continuing. Anne, what do you see? ANNE SWEENEY: Well, you know, our wake-up call probably happened in 2005 when we were the first company to put our television content into iTunes so people could watch it on the video iPod. And I remember thinking at the time that the video iPod was just about as good as it gets, and could it get any better than this? And, yes, it did. But I think it was taking that first step, and then we followed it very quickly six months later we launched ABC.com and we launched our player. So you could actually watch your favorite television shows 12 hours after they had aired on broadcast on our player on the site. So that’s when the wheels started turning for us, and that’s where the true reality of, you know, TV — now we’re saying, you know, TV that moves you now moves with you. But that’s where we first started to see people going mobile with their television viewing. STEPHANIE MEHTA: So how does this transaction go beyond the ABC player or Hulu or Xfinity? I mean, what is so special about the way this deal is structured so that if I’m a Comcast customer, I’m getting something better than just using my iPad or my computer to go to the ABC Player? NEIL SMIT: I think the big difference and the unique aspect of this deal was the length of it. And I think that was probably the hardest part of the deal in every regard. I mean, it’s a ten-year deal, and who knows what technology is going to do tomorrow, much less ten years from now? And I think it involved an element of trust. And I think we’ve agreed that as things change, I mean, tablets weren’t here two or three years ago, and now look at the way they’ve proliferated. So I think we’ve agreed that we’ll talk about it, we’ll make adjustments as necessary, and I think the viewing habits have changed in that we’re seeing a lot of growth in mobile, we’re seeing a lot of consumption and use of search functionality and filtering functionality on the tablet. I think Anne put out just a terrific app with the Disney app. It’s very simple and intuitive and just great for kids. ANNE SWEENEY: Yeah, thank you. We launched, as Neil said, three apps, Watch Disney Channel, Watch Disney XD, and Watch Disney Junior. And to date, I think 5.6 million downloads in just this first month that we’ve been up and running, and over 70 million video starts. Now, remember, these are Comcast subscribers. So we learned a lot — we spend a tremendous amount of time, as you can imagine, with kids. And a couple of years ago, we were seeing in focus groups — you know, kids speak with their hands. They tell you a lot by the way they move in a room. And kids were talking to us about watching video and doing things. And we saw them doing a lot of this when they were talking, and we saw them pointing at things. And sometimes if we had a laptop in front of them, they were poking at the screen. And then we realized that a lot of these kids didn’t have iPhones, but their parents, when driving, were usually passing them backward in the car. So we started to see this behavior early. So the fact that we got so much success in these early days with the Watch apps isn’t that big of a surprise. STEPHANIE MEHTA: And are those apps exclusive to the Comcast customer, or are those apps that are widely available? ANNE SWEENEY: They are widely available. You can download them for free. There are about 10 episodes that are up there that everyone can see. But then to stream Disney Channel, you have to be an authenticated Comcast subscriber. NEIL SMIT: You know, it’s interesting. We’re trying to do more of these deals and pull together more experiences. And we’ve taken some of the framework that we put together on the Disney deal and we’re doing it with the Olympics now. And we’ve had kind of the swiping movement, we’ve had I think three and a half million video views prior to the Olympics. That’s more than we had on VOD in all of the last Olympics games. So there’s definitely a trend there. I think it’s growing. You know, I think we’re trying to partner more with different players. I mean, the X1 product that we launched, the next-gen TV — I see Sam Schwartz sitting here, who put the product together. It integrates Pandora and Facebook and Twitter and Red Tomatoes and it’s this whole confluence of different apps and different products into a video viewing experience. And I was happy when my kid came home and said, “What a great UI.” (Laughter.) And he’s never said that about the video viewing before. STEPHANIE MEHTA: Your proudest moment as a dad. STEPHANIE MEHTA: Well, Anne, tell me a little bit about what was appealing about working with Comcast on this besides the fact that it is the largest cable distributor in the United States? I mean, what did Neil’s team bring to the table? And then I want to talk a little bit about what was so hard about putting this deal together? Because we just talked about all the love between you guys, but I want to talk about the hard stuff too. But why did it make sense to come out with such a big deal with Comcast when you did? ANNE SWEENEY: Well, again, timing was working in our favor and not to make this sound like too much of a love fest, but it is nice to work with people who are interested in the future, not just about the business that we’re in today. And there’s a third principal who’s not on the stage with us, and that’s George Bodenheimer who represented ESPN’s interests in this deal and was critical to getting it done as well. You know, I think it was the fact that, as Neil said, you know, we committed early on to address the future as it happens and not relegate ourselves to the business models of the past, not to cling to the things that had worked for us as cable networks and as cable operators, but to really envision not just a new relationship, but also a new world. And that world is based on how consumers are behaving right now and how they’re going to behave going into the future. And we’ve spent a lot of time — we got to a point where we stopped predicting the future and just agreed that we would roll with it. STEPHANIE MEHTA: How did the lawyers feel about that? ANNE SWEENEY: We drove them crazy. NEIL SMIT: There were really a lot of lawyers. We had three women lawyers who weren’t pregnant before the deal started, and were six and a half months pregnant when the deal ended. So it was a long deal. I think we were on the phone almost every night, George and Anne and I, and to a large extent, Brian and Bob were very involved in the process. STEPHANIE MEHTA: Brian Roberts, CEO of Comcast; and Bob Iger, CEO of Disney. NEIL SMIT: Yeah. And they kept the vision alive, which I think was very important. So it’s easy to get lost in the deal terms, and I think holding the vision at the forefront really helped move things along when we got to the very difficult issues. STEPHANIE MEHTA: So without getting into the weeds too much, what was the big compromise? What was the thing — once you agreed that we’re going to work with the future as it happens real time, in terms of technology, in terms of content, in terms of timing, was there anything that you felt was the big hump and once you got over that, then it was more smooth sailing? ANNE SWEENEY: I don’t think it was just one thing. You know, there were a myriad of issues. There were a lot of technical issues. And our technology people also spent a lot of time on the phone. I mean, whose player did what? How did that player work? So we really had to share a lot of information about how we would serve this material, how we would serve these television shows to our consumers. NEIL SMIT: Right. And you get to things like devices. You know, where will the content appear and on what devices and how? I think the hardest part for me was this element of — and it does sound a little love-festy — but this element of trust that came about because we were going so long in the deal. And, you know, it would have been easy enough to put together a two-year deal and we get through it and move on and there’s only so much that can happen in two years. But the length of the deal was, for me, the toughest issue and it made it the hardest. STEPHANIE MEHTA: And I think it bears reminding the audience that your parent company owns 51-plus percent of one of your competitors. NEIL SMIT: No, I mean, the companies are — we manage them fairly separately, especially when it comes to things like deals with content providers. But Brian sits over both companies and I think Brian — as much as anything, because he was dealing with both types of companies at the same time, distribution and content, he could kind of see the future and express it more clearly because he knew the ups and downs of both industries. And I think that was helpful. And he and Bob have a great relationship, and I think that really helped work the deal. And I think also it was us talking every night. You know, one and two in the morning, you know, you’re getting up and shaking off. ANNE SWEENEY: We were time zone agnostic at one point, we didn’t know what day it was. But I think it also helped, too, that our boss, Bob Iger, is a very savvy technology person. You know, very interested in technology, you know, very current and very up to date with everything that’s going on. So the conversations were always very worthwhile and even when we were in those brainstorming modes of, well, what if this happens or what if that happens, you know, he and Brian were both a good voice of reason, well, don’t worry about it now, you know, wait until you get there. STEPHANIE MEHTA: We’re going to go to questions from the audience in just a few minutes. I wanted to ask a little bit about how this is a blueprint for deals going forward. Are you starting to enter into negotiations with other cable distribution partners? And is this kind of conversation happening? And conversely, Neil, as you start negotiations with other media companies, are you trotting out this transaction as an example of how you want to do it in the future? ANNE SWEENEY: Well, it is. And we have had calls from every single company that distributes our content wanting to do what we did. And I think it’s not because we announced the deal, it’s because people are actually seeing and using the Watch apps and realizing that they actually do work. The other reason that it’s a template for us is the fact that we did a lot of research as we were constructing the apps. And that construction, actually, started while we were still in the negotiation and went through until we launched about a month ago. And we videotaped kids playing with the apps as we were developing it so we could see what the problems were. We could see were they having an easy time finding the content? Did it come up quickly enough? Was it answering all of their needs? And some of the things that we heard them say were just amazing. We had this — we were testing our Disney Junior app with parents and their kids. And the kids were about four or five years old. And I’ll never forget this one little girl. She was playing with it on an iPad. And she’s just into every show and the kids never wanted to leave the focus group because they didn’t want to stop watching. And we said, “Well, what are you going to do now?” And she said, “I am going to curl up with my iPad on my couch.” And I thought, when were we ever going to hear that? When was media ever going to be that personal for someone that young? The answer is: Now. STEPHANIE MEHTA: But let me just follow up on that. I mean, because you deal with such a young audience and because you’re able to watch these media consumption patterns, at any point do you worry? At any point do you think, you know, is this a gateway drug for watching 18 hours of television a day? I mean, I realize television is your business, but to see a four-year-old girl want to curl up with an iPad, it’s also a little disturbing. ANNE SWEENEY: Yeah, but when we talked to her mother, I mean, the reason we had parents in all of our focus groups is because that was one of our questions. But, you know, we are not the gatekeepers of the technology, the parents are in control of when their kid gets the phone, when their kid gets the iPad, kids don’t usually have the money to go out and buy those things by themselves. And, you know, we rely on the parents to have those rules in their homes. STEPHANIE MEHTA: But the parents aren’t figuring the apps out, the kids are. ANNE SWEENEY: You’d be fine, you’d be fine. But, actually, a lot of parents said to us that it was actually something they could control more than television because it was something that — we were talking to them about how they were using it in cars, how they were using it as an incentive, how they would use it in the home. And they felt because it was portable, they could take it away more easily. STEPHANIE MEHTA: Neil, talk a little bit about the conversations you’re having with media partners now. NEIL SMIT: So all our deals that we’re doing right now have a component of TV everywhere in them. We have deals with all the premium networks, Showtime, HBO, and Stars, with CBS, Viacom, Turner. Phil Kent is here. And we just announced Scripps today, as a matter of fact. So we’re big believers in the vision of the partnership, which is consumers and customers are going to want it when they want it, where they want it. And I think that we’re bringing it alive across the different platforms. We’re really trying to provide a seamless experience for customers across the big screen and the other platforms so that content is available in any different form they want to consume it. And I think that’s one of our challenges right now is how do you make it seamless and simple and easy for them and refer to the authentication or validation process? That’s an example of something we’re trying to just make easy for customers. So they authenticate or validate them in their home, it’s automatic. You know, we pick up the IP address. So I think that’s going to be important going forward to the evolution of the space. STEPHANIE MEHTA: I don’t think we’ve ever had such a captive audience at Brainstorm TECH because no one is going outside. So I figure now is a good time to open it up for questions. ANNE SWEENEY: Can we do that here? QUESTION: Yeah, of course. No one will write about this, you’re allowed to say whatever you want. I want you to talk some serious dirt. So HBO is turning out to be the Metallica of the video age. So HBO has the most-pirated show in the world right now, Game of Thrones. Their strategy has been to not allow anyone to get any of their content unless it’s through Comcast, which I’m sure is probably good for you guys. But, otherwise, they don’t make it available on iTunes or anything else. How do you gauge the HBO strategy? If you were giving advice to HBO, would you tell them to be as tight with their content as they’re being? ANNE SWEENEY: You know, look, piracy is a huge, huge issue for all of these major content companies, and everybody has a different way of addressing it. I’m not going to sit here and judge, no, I’m not going to judge HBO’s strategy. But I can tell you from our perspective, I mean, we set up a criteria that was really — it happened when we did the Apple deal for the first time. And we really sat down with Apple and we’d look at our player technology, we spent a lot of time with Comcast talking about protecting our content, we believe, at Disney and putting our content out there on the right platforms. But what makes you a right platform is if you are willing to protect us from piracy. And we have not had issues with Comcast. We have not had issues with Apple. We haven’t had issues with our player. Our content is still pirated, but at least the people that we are in business with are protecting it. ANNE SWEENEY: Well, look at Comcast. We’re on Netflix with our content and we’re on iTunes. But, again, legitimate platforms that pay fair value for content that we spent money creating. NEIL SMIT: And I think we have partnerships. I mean, we launched on Xbox earlier this year and we’ve done deals, we have partnerships with Apple and Google and other players. So we want to deliver the content to the customers the way they want it. I think we both are interested in keeping the customers front and center. You know, I think it’s also going to evolve. It’s evolving very quickly, and I know from our perspective at least, we seek out the partnerships. We have a venture cap fund in Silicon Valley and we have an innovation lab. We go out there and see people all the time who bring new ideas for how they’re delivering content and how to enable customers to find it and discover it in an easier way. So I think it’s going to continue to evolve. It changes every day. STEPHANIE MEHTA: Anne, what kind of feedback have you gotten on these kinds of deals from the content creators, from the artists, from the producers, from the show runners? Do they feel like this is fair to them? ANNE SWEENEY: Well, when it was new it was confusing to everyone. Not just content creators, it was confusing to broadcast affiliates, it was confusing to advertisers. I remember some of the early conversations were very difficult. What does this mean? Once they realized that we were protecting the content, we weren’t just throwing it out there. Once advertisers realized that they could participant on these platforms, it was a very different conversation, it was more positive. NEIL SMIT: I think the measurement has come along well too. We were talking about a test we’re doing with one of the companies that will take measurements to other platforms as well. I think that’s important so we can get the advertising benefit of it there, both parties can. Then you’ll see more content going there and there will be advertising benefits. STEPHANIE MEHTA: Identify yourself, please. DOUGLAS WARSHAW: Douglas Warshaw, contributing writer, Fortune. Ten years is an awful long time. Curious if there’s an out in the deal. And also would love to know what were your major concerns doing the deal and what continue to be your major concerns aside from we don’t know what disruptive things may happen. But what were the biggest areas of friction that maybe you just said, we’re going to put those aside or how did you get through them? What were the biggest stumbling blocks? NEIL SMIT: You know, as Anne said, I can’t specific to the deal whether or not there’s an out. But I think there wasn’t any single issue. It was, you know, as they came up, we started thinking about them, you know, well, what about devices, well, what about devices? And which ones do we want to be on and how do we know? And I think every issue we came upon, that was kind of the case. It was, you know, how do we know? And I think at the end of the day, it was, well, what’s good for Anne’s customers or consumers will be good for our customers and consumers. And I think that’s how we kind of got to resolution on a lot of them. You know, but it wasn’t any single issue. ANNE SWEENEY: Yeah. And I think as we said earlier, you know, the term was probably the biggest issue that we struggled with. And we were back and forth and all over the place on that for a while. STEPHANIE MEHTA: Had you thought about going longer than ten years? ANNE SWEENEY: I don’t know that we did. NEIL SMIT: I think at one point we might have, but I think usually it was shorter. ANNE SWEENEY: Yeah, I think that was a very late-night conversation. But, yes, as Neil said, usually it was shorter. STEPHANIE MEHTA: Shorter, right. Question in the back row. QUESTION: Hi, Digital Media at KPMG. Question, we’ve been talking a lot about single-screen viewing. Just curious as to both of your thoughts around multi-screen viewing, which skews, obviously, towards live events, sporting, reality shows, and things like that. Just interested in what your thoughts are about enabling more multi-screen viewing and kind of the innovative things your companies are doing around that. I know Comcast is doing some stuff dedicating screen real estate, you made reference to it, to Facebook and things like that, but curious about your multi-screen strategy. NEIL SMIT: Well, ours is we want to be across as many screens as we can. And we want to make sure — you know, we want to interrelate those experiences. So if someone’s watching a Disney show on their mobile phone and they walk in the house and they want to throw it to the big screen, that’s all enabled. We’re working a lot on second screen right now. You know, second screen is coming along. We have a lot of content, we have about 10,000 hours of content which is play now. But I think it evolves a lot. We’re trying to integrate partners and customize them for the television viewing experience. What are you guys up to? ANNE SWEENEY: Well, you know, I think it’s not every experience. You know, I think you need to be very smart. Just like you don’t put all of your content the same way on every single platform. I think we’re being very selective. You know, I look at what we did with the Oscars last year and how we integrated a second screen for a very, very big event. I think you’re right, Sanjay, the live events lend themselves in a very different way than possibly a scripted series would. NEIL SMIT: Yeah. I think we’re in the early stages of live streaming. I think that some types of content play better in live. You know, Disney is a great example of that. I think kids is a great live streaming type of content. STEPHANIE MEHTA: Question back here. LAURA MATHER: Hi, I’m Laura Mather, I’m with Silvertail Systems. You made a comment about how people are willing to pay a fair price for the content. And my company does software and so I see the efficiencies in creating software and digital goods. Where do you see pricing going? Because as a consumer, mostly in the book area, I get frustrated that I’m paying so much for a digital book. And I’m wondering if you see the pricing getting commoditized for digital goods just because the efficiencies are so much better than they were when it was hard goods. ANNE SWEENEY: Yeah. I think part of it — it depends what the goods are. I mean, what are you going to pay for a book versus a television show? And digital books are so much cheaper than a printed book is — most of the time. I really think it depends on the kind of content you’re paying for. NEIL SMIT: Yeah, we experiment with pricing all the time and different packages. We have a package now that has a lower base price, then genre packs go on top of it. So we’re looking at pricing all the time. To the software point, one of the biggest things we’ve done is we’ve put, I don’t know, 65, 70 systems up in the cloud so now we can innovate at a much faster pace. And Rotten Tomatoes, can we integrate that? And yeah, sure, we can. Well, how long is it going to take? Two weeks. So that’s a very different conversation than what we would have had a year ago while we were in the set-top boxes. And so it enables us to have conversations between the programmer and the distributor to say, “Let’s try this.” And we can do it in software time. STEPHANIE MEHTA: We’ve got time for a couple more questions. Susan had a question. Identify yourself, please, and then we’ll go to the back. QUESTION: My question is really for Anne. It’s about where do you see broadcast networks going? So I look at my daughters, and even my behavior. I watch a show or shows — I have my shows, they have nothing to do with what network they’re on, whether it’s a cable network, whether it’s a broadcast network. Even a decade ago, we all thought about how we constructed a night of programming, right? Is this a good lead-in? How does your thinking evolve now as to what a broadcast network should be, will be, is a marketing platform, where does it go? ANNE SWEENEY: Well, I mean, using your words, it is evolving and it’s changed dramatically just in the last 12 months. I mean devices like Tivo, your DVR, have changed the face of broadcast networks. Interesting, though, they still deliver the biggest audience because they are still, you know, for many content providers, the first window. We tend to look at ourselves now as a content creation engine. And we have a multitude of platforms. The broadcast platform is still the biggest. Still the most profitable, still the one that advertisers choose. But increasingly, you know, we’ve seen the benefit of the DVR, certainly the C3 measurement adding to the viewership that we were able to get in the initial broadcast. 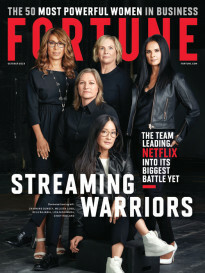 And then we see other developments like Streampix, which Comcast launched, or iTunes with the store or our ABC.com player or Hulu as further opportunities. So it’s been very interesting. The more opportunities people have to experience television on different platforms, the more television they consume overall. So there actually has been a benefit, but the ratings have gone down. But we’ve seen kind of the horizontal benefit of this. And it remains a great, great promotion engine. But we’re also looking at the way we schedule programming very, very differently and really taking it more from a brand sensibility than a spots and dots, you know, what is your 8:00 and how does that feel with your 8:30? Knowing that people are actively saving your content on their DVR. So the strategy for scheduling has probably seen the biggest shift. NEIL SMIT: Yeah, and the point that they’re self-reinforcing platforms. We’ve done big promotions with NBC where combining online and VOD and all the different platforms and we’ve seen ratings in our footprint go up 20 to 40 points over the average. So I think you’re right, Anne, they do work together and reinforce the great content. STEPHANIE MEHTA: We’re almost out of time, so we’re going to take one more question from the back, and then we can continue the conversation over dinner tonight and throughout the conference. QUESTION: That was a touching love story, by the way, thank you for that. Two oligopoloists working together. (Laughter.) Beautiful. There were some Disney vets back here shedding tears. In any event. 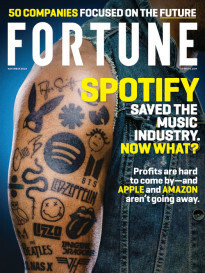 Just wanted to ask you, these kind of deals with the existing large content players making deals with the existing large distribution companies like Comcast, what does that mean for the Netflix platform and the Apple platform as alternative ways to get content and does something need to change in the way they’re pricing their content in order for that to be a more viable platform for distribution of your best content? ANNE SWEENEY: Well, we currently distribute a lot of our content to Netflix from the Disney portfolio as well as the ABC portfolio. And the same with iTunes. NEIL SMIT: And I think from our perspective, I think the windows are being defined. I think there’s the library window, which Netflix occupies very well. I think there’s the current live, there’s VOD, which is recent, and I think that the windows are shifting a little bit and being established. I think that will take time. And I think there are going to be new players who come in and new platforms and at least from our perspective, we’re interested in partnering with different players and trying to figure out what the best way is to deliver the content to the consumer. ANNE SWEENEY: Yeah, but Neil makes an important point about windowing, because windowing ten years ago went on broadcast and then it went into syndication, either on cable or on broadcast. And somewhere in that mix, the DVD would come out. And now, I think we have somewhere in the neighborhood if 10 to 15 windows between the start of a series and the end of a season. ANNE SWEENEY: And we’re seeing this evolve globally as well. STEPHANIE MEHTA: We are out of time, but very quickly, Neil, you said you’re interested in partnering. But you’ve launched Xfinity. I mean, to a certain extent, you’ve become a competitor to some of those platforms that our questioner just asked about. NEIL SMIT: I think it can be either. I think that a number of these platforms, you know, Facebook and Twitter and Pandora and Xbox and Apple and Google — I mean, we partner with all those companies in different ways. And, you know, I guess my comment would be we’re open for business. We’ll partner and talk to anyone.